Today’s insight into the horror genre through feminine eyes is brought to us courtesy of Chantal Boudreau. Not only is she a very talented writer, but she’s also on the preliminary ballot for the Stoker Awards, so I think she’s definitely someone to talk about women and horror! Not that women can’t or don’t write hard-core horror, we certainly can, but you’ll often find genre overlap with women into things like romance while less so with men. That and the fan base for women tends to differ. Women readers reading women writers are often looking for romance or erotica, mystery and angst. You can find that in horror, the human condition is an underlying theme in most horror tales, but true horror tends to hold to shock, suspense and/or fear as the primary fabric of a story, with a different kind of appeal than what you would expect from “chick-lit.” This means we have appeal to a broader demographic and try to offer work with universal appeal – it can be tough, especially in an industry that likes to box people into niches and wrap things up with a tidy little bow. Female horror writers are often asked in interviews why they chose to write horror in particular. You don’t see that nearly as often with male horror writers. Perhaps it is just not seen as a “feminine” genre. I certainly can’t speak for all my cohorts, but I’ve always leaned towards the darker side of fantasy when writing that type of speculative fiction, so horror was only a short hop away. Once I tried it, I was hooked. It’s a very cathartic genre, very liberating, and after I found a supportive and welcoming group of publishers and like-minded authors out there, I was encouraged to stick with it. I’ve had many horror stories accepted for anthologies (one of these anthologies, Slices of Flesh, is on the preliminary ballot for the 2012 Bram Stoker Awards,) I’ve had flash fiction place in the finals for Fangoria’s Weird Words contest and I’ve had a novelette published as a stand-alone digital offering (Shear Terror). I don’t feel as though I’ve suffered from discrimination in any way, but I also haven’t put out any full horror novels out there yet, and even the ones I have that are completed and unpublished are as much dark fantasy as they are horror. I look at other women currently succeeding in the genre, like Rhiannon Frater or Nancy Kilpatrick, and I’d like to think I have a fighting chance when the time does come to publish these works. I also like to think I have a fairly open voice when it comes to my writing. My protagonists are just as often male as they are female, and I feel confident writing from either perspective. Maybe that will allow me an edge with regards to acceptance. One way or another, I’m going to continue tapping into my bleaker nature and allow it to infuse my writing; I can’t seem to get away from it. There’s a darker appeal there I just can’t escape. When Far-Runner noticed Kit leaving the Wolves settlement alone, he counted his lucky stars. The small man rarely went out by himself, fearful that he might find himself suddenly in the clutches of the Black Talon. If he did get captured by one of their people, and did not fight them, they might kill him anyway, if they realized that he were a shaman and not some meek craftsman. They hated all shamans and would slay them without hesitation. Of course, Kit’s mark was not visible to ordinary scrutiny, unless they chose to strip him of his footwear. His limp was barely noticeable. They might be willing to take him as a slave – until they decided that he was useless to them. Usually, Kit had managed to recruit Badger, Mender or Brightstar to assist him in gathering his herbs, not for protection, but for comfort and courage. However, Brightstar had stopped accompanying him once he had taken up with Mender, and Badger and Mender did not want to wander too far from camp, with Forager expecting her first child at any time. Kit had resigned himself to travelling alone this time, steeling himself against his fears. The time for subtle attempts at manipulation had passed. As the revenant became enraged, she billowed and swelled, her spectral eyes flashing and her hands curling into claws. She wailed at him, angrily. This was enough to alert Kit, who caught her furious bellows as only the faintest whisper emerging from the woods. He glanced that way, ever wary of the possible threat from the Black Talon. Seeing Far-Runner standing there and grinning, alone but for the faintest suggestion of his ghostly sister, the shaman froze in mid-stretch. He had been poised to grasp another plant, when he had turned to seek out the nature of the very slight disturbance. But he didn’t know the worst of it yet. Possum’s phantom urgings, at some times gentle and at other times more forceful, had been slowly pushing Far-Runner towards a brink, a line that once crossed would allow for no return. Kit had drawn him back from that brink on many an occasion, but the shaman could not help him now. In truth, there was no one left who could help him. It was at that very moment, when the shaman’s life was dependent on a mere morsel of the Alpha’s sanity, that something in Far-Runner finally snapped. He crossed that line, and he didn’t look back. The world shifted for Far-Runner. He no longer saw Possum as a spectre, but as a person, solid and whole and standing beside him amidst the trees. In his mind, he was watching Willow by the river, and Kit, crouched in the reeds, was the Black Talon man, preparing to drug her and enslave her. But her words were lost on the hallucinating Far-Runner. His knife was in his hand before she could say anything more, as he sprang at Kit. The shaman barely had the time to stand before his Alpha was upon him, not that turning and attempting to run would have altered his fate any. Two scenarios meshed together in the crazed man’s mind, the spirit of revenge alive in his soul. He tackled Kit and they fell together into the mud. Possum’s spectre was shrieking, but only the shaman now heard her, a faint sound heralding his demise. The knife followed a path that it had followed once before. It slid in, with the first blow at the base of Kit’s ribs. “That is for stealing my mate and child from me,” Far-Runner roared hoarsely, his frantic turquoise eyes barely able to focus. The second blow stabbed in deeply at the man’s hip, the tip of the knife breaking against bone. “That is for denying me before the ancients,” he raged, his breath now coming in ragged sobbing gasps. The third blow grazed along Kit’s thigh, scoring the leg, but not cutting deep. “And that’s for belittling me before the rest of the tribe,” the deranged Alpha wheezed, as he wept and pounded his other fist against the dying shaman’s chest. Unlike the Black Talon hunter whom Far-Runner had once fought, Kit had no weapon with which to reciprocate, nor did he have the physical stamina, or wherewithal, to rise and stagger away. Instead, with his face white from shock, the shaman just lay there in agony, choking and bleeding. Far-Runner sprawled over him, clutching at the smaller man and spilling tears of rage and previously unvented frustration. He stayed this way, still deaf in his insanity to the pleas of Possum’s ghost, until the pack member below him rested cold and still. It was at that point he glanced up, his gaze searching for Willow along the river. The phantom stroked her brother’s hair, watching him stare mindlessly into the river, waiting for someone who wouldn’t be coming. Fawn had been right. Possum had driven her brother to madness and she had not accomplished her goal in the process. It burned at her, eating away at her already tormented soul. He would have never gone back to the Snowy Barren tribal village, not for all of her prompting, prodding or pleading, and now he was well and truly lost, his psyche wandering somewhere altogether different. Possum’s ghost lingered with her brother, observing Kit’s spirit as it rose from his stiffening corpse, disoriented and groggy. It was easier on those who died in a familiar place, this process. He would be skirting the area where he lay, trying to make sense of it all – trying to put all the pieces back together. That was how he would likely stay, until someone came looking for him, until someone found his body and carried him back to his home, and the people who would miss him. Chantal Boudreau is an accountant by day and an author/illustrator during evenings and weekends, who lives by the ocean in beautiful Nova Scotia, Canada with her husband and two children. In addition to being a CMA-MBA, she has a BA with a major in English from Dalhousie University. 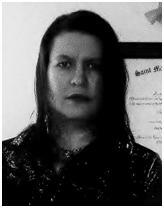 A member of the Horror Writers Association, she writes and illustrates predominantly horror, dark fantasy and fantasy and has had several of her stories published in a variety of horror anthologies, in online journals and magazines and as stand-alone digital shorts. Fervor, her debut novel, a dystopian science fantasy tale, was released in March of 2011 by May December Publications, followed by its sequels, Elevation and Transcendence. Magic University, the first in her fantasy series, Masters & Renegades, made its appearance in September of 2011 and its sequel, Casualties of War, in June of 2012. 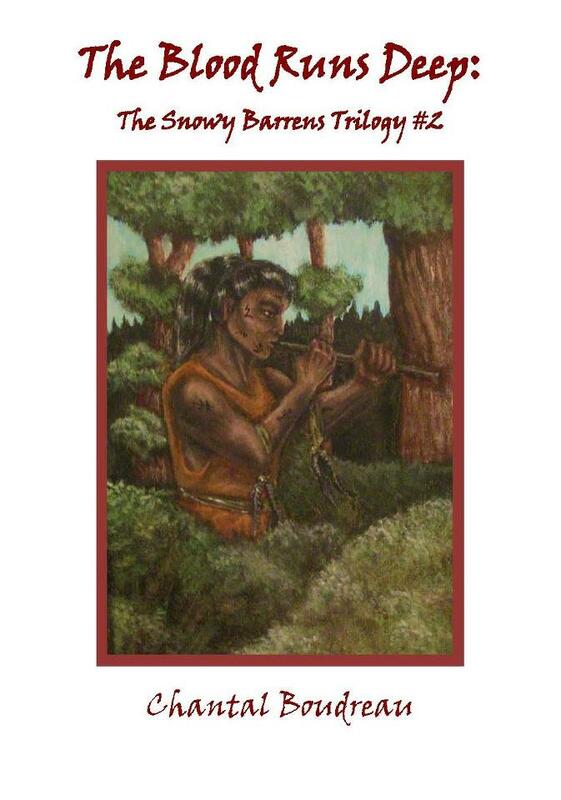 The Blood Runs Deep follows The Blood Is Strong as the second book in the tribal dark fantasy trilogy, The Snowy Barrens Trilogy .